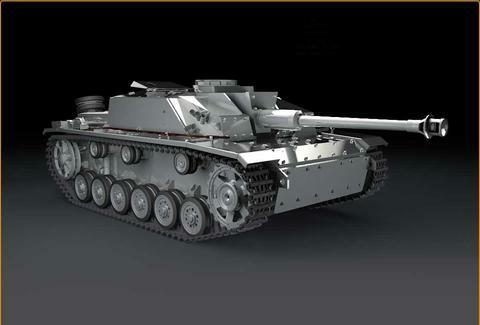 British company Armortek's been producing super-realistic, 1/6th-scale radio-controlled Allied and German tanks since 2001, and they've just unveiled an all-new model for 2013: The StuG III Ausf. 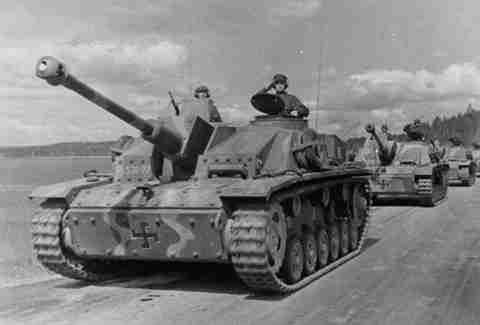 G, which is a way more intimidating-sounding rival to the British Ali G. An actual StuG III Ausf. G. in 1943. Photo: Wikipedia Weighing in at 130lbs, this mini tank is packed with features like a firing RC-controlled turret that blasts sound recorded from the real deal, working exhaust pipes, and a seriously advanced patented drive system that features an offset spiral pinion to maximize efficiency. It can tow up to 1100lbs -- just enough to get Adele home from the Grammys. They've also got plenty of other tanks in their line-up, like this British Centurion.